Anne Syrrist is a member of Spencer Stuart’s Consumer, Industrial and Private Equity practices. She specializes in advising boards and CEOs on executive search and other leadership needs amongst other during transformations, mergers, turnaround initiatives and reorganizations for growth. Anne has served as a non-executive board director for both listed and non-listed companies during her career. Prior to joining Spencer Stuart, Anne spent four years as a partner at another executive search firm in Norway. She has also held operational roles within business development, finance and human resources within the consumer, financial and industrial sectors. Anne also spent four years with a private equity firm, investing mainly in smaller IT companies with a global potential. She started her career as a consultant at Boston Consulting Group, working across the Nordic offices. 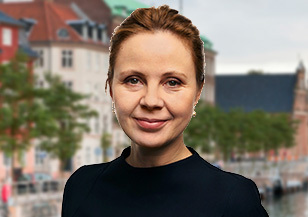 Anne has earned an MBA, with an emphasis on financial management, from the Norwegian School of Economics (NHH) and a Master of Science from the Norwegian University of Science and Technology in Trondheim (NTNU).